Swindon's 2009 campaign got underway in fine style with a commanding fourteen point victory over current Swedish Elite league Champions, Lejonen. The Robins led throughout and withstood two well worked tactical rides from their Scandinavian opponents to register a morale boosting early season victory on what was a characteristically chilly Blunsdon evening. 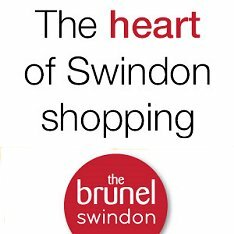 Double figure returns from Leigh Adams, Troy Batchelor and a paid ten points from Jurica Pavlic provided the foundation for Swindon's success. Adams notched his first maximum of the season and was in dominant mood throughout. Jurica Pavlic bounced back from Sunday's below par, showing to register three successive heat wins whilst the Queensland firebrand, Troy Batchelor, quickly eased back into Blunsdon's wide open spaces. Simon Stead enjoyed a decent night's work and showed plenty of tenacity as he notched a seven point score that was limited by an mechanical failure in his fourth outing. Travis McGowan registered his first Blunsdon heat win of the evening as he collected six points whilst the lively reserve pairing of Stojanowski and Fisher impressed greatly. In particular Fisher whose speed and style looks set to prove popular on the Blunsdon terraces in 2009. Swindon had conjured a ten point lead after the conclusion of heat ten but a well worked race seven tactical ride saw Lejonen slash the Robins' advantage to five points. The lead was bolstered to fifteen points after ten but Lejonen hit back again with a tactical ride from Chris Holder and Tomasz Jedrzeak. 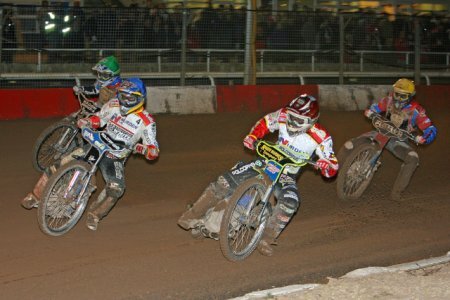 However, more heat advantages for Swindon ensued in heats twelve and fourteen as Swindon cantered to victory.